Simon brought up a number of pertinent points about the C-band issue and raises a number of questions. She asked, for example, whether the Trump administration would allow a cash windfall to go to Luxembourg-domiciled countries. She also asked what the U.S. Federal Communications Commission (FCC) will charge for mobile spectrum rights (versus satellite rights), and whether tax will be payable. She also questions how strong the demand will be, given possible industry consolidation and other sources of mid-band spectrum. “We will not have more concrete information until Quarter Two (Q2) 2019, but in the meantime, the C-band spectrum windfall carrot should sustain the shares,” she added. The political standpoint is an interesting one. Simon said that given President Trump’s general aversion for money to leave America and benefit non-American jurisdictions, she thinks it ispolitically unlikely that there will be a huge windfall granted to two companies that are Luxembourg-domiciled (SES and Intelsat), a French group (Eutelsat), and a Canadian one (Telesat). “It is not as if SES and Intelsat — the two main beneficiaries — can argue that the proceeds will be reinvested in the U.S. economy: demand for satellite capacity for video in the U.S. is falling, by both companies’ admission, and data is largely delivered using fiber. So there is not an obvious reinvestment opportunity in the domestic United States. 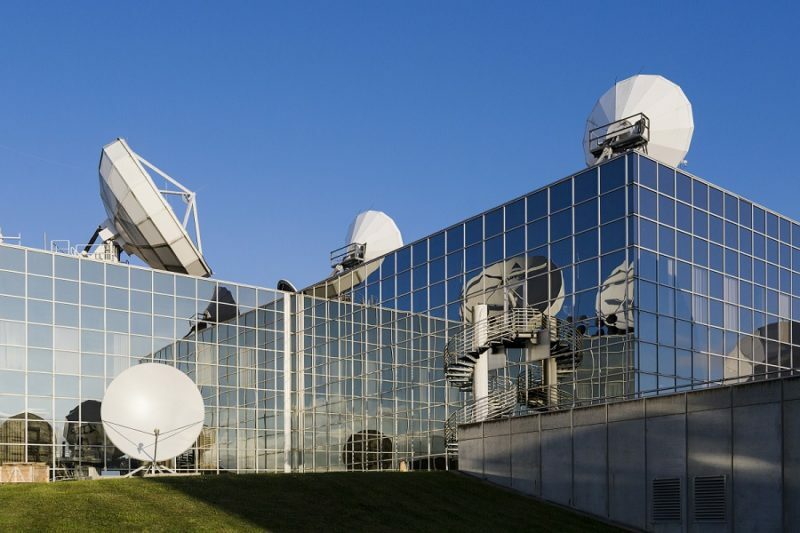 At the very least, we assume U.S. taxes would be levied on any money received by the satellite operators, although Intelsat has huge tax losses so it would likely pay no tax at all,” she said. She believes it is unlikely that the FCC will forego the opportunity to generate money that can go to the federal deficit. “The FCC’s authority to run auctions is enshrined in a number of budget acts, and the revenue raised from auctions is clearly seen as an important point by the FCC, as indicated in the annual spectrum auction reports submitted by the commission, which confirm that the money raised from spectrum auctions is used for ‘broader government use and deficit reduction’. Given that the U.S. budget deficit is now just under $900 billion and forecast to be $985 billion for fiscal 2019, it seems likely that receipts from spectrum auctions would be welcomed by the U.S. government. We note recent comments by Chairman Pai that ‘the auctions to come will … raise billions of dollars of non-tax revenue for our nation,” she said. It will be interesting to see how this situation plays out despite the fact that Simon views the consortium’s proposal as an attempt to be on the front foot rather than waiting for the FCC to propose potentially more “draconian measures which may come at a financial penalty.” Simon pointed out that it should not be forgotten that prior to this, the question of C-band spectrum, or rather whether the satellite industry should be allowed to keep it all, has been a perennial issue in U.S. telecommunications. She added that mobile operators have been lobbying for shared access to the C-band for years, and in the run-up to WRC-15, she talked of a “palpable nervousness” in the satellite industry that their interests might be sacrificed in favor of the mobile operators — for the C-band spectrum is not owned by the satellite operators, but licensed by the FCC, on finite agreements (many of which expire in the mid 2020s). “At the end of those licence periods, it could be possible for the satellite operators to lose all of the C-band spectrum, without any compensation. While it is generally agreed that the C-band spectrum is wanted earlier than this, and that this would not be the optimal approach, the fact that the satellite operators were so worried suggests that the threat of losing those rights in space was very real,” she concluded. The post Fan of the C-Band? Industry Analyst is Cautious About SES appeared first on Via Satellite.